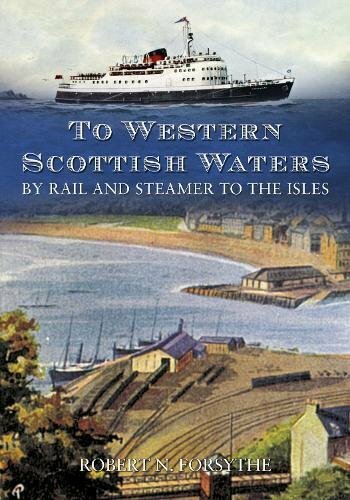 To Western Scottish Waters: By Rail & Steamer to the Isles is a pictorial tour through the decades and a peek into how both people and goods have travelled to the Isles over the years. Illustrated with old photographs, advertising leaflets and timetables, as well as more recent photographs by the author, the ever-changing modes of travel are portrayed here. Moving from the early days of tourist traffic to the Highlands and Islands, To Western Scottish Waters takes us through the golden years of David MacBrayne and the Caledonian and North British Railways through to the appearance of Caledonian MacBrayne in the early 1970s. This pictorial survey uses the colourful and inventive publicity material of the principal companies involved in West Highland tourist traffic, such as the framed Puffers and the second car ferries used to keep inter-island traffic flowing.